Motorola's got a special New Year's treat for prospective buyers of the Moto X: a huge price drop for those who are willing to go off-contract. The unsubsidized version of the Moto X sold on the Moto Maker customization site is now just $399.99, down $100 from its previous price. You can pick up the larger 32GB model for $449.99. 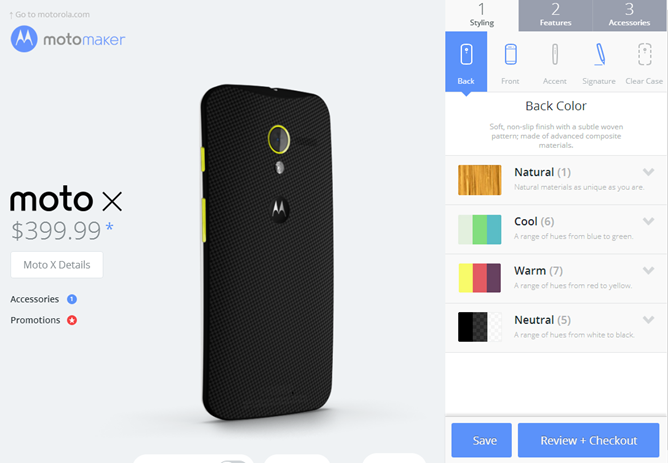 The on-contract versions remain $99.99 on the Moto Maker site, though you can probably find the more drab black or white alternatives for less. 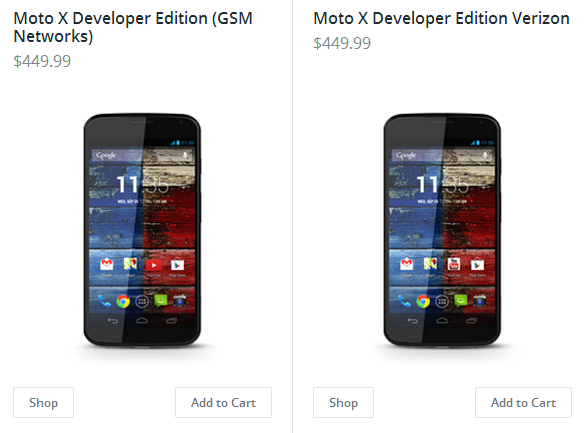 Even more exciting, the developer editions of the Moto X have also been given a price cut, down to $449.99 to match their 32GB Moto Maker cousins. That means that Verizon and AT&T customers who want the GSM or CDMA versions of the phone but also want access to easy root and custom ROMs have a relatively inexpensive way to get in on the action. Incidentally, the 32GB Verizon developer edition is now just $50 more expensive than the 32GB Nexus 5, making it a pretty good alternative since the latter isn't available on the CDMA carrier. 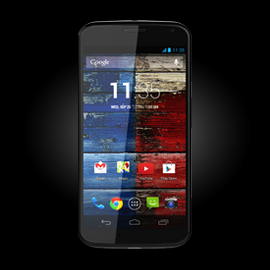 Sprint and T-Mobile versions of the Moto X can be bootloader unlocked without a developer edition. This price cut comes a little over a month after Moto set the Internet on fire with its $150 off Cyber Monday deal which made the phone $349.99 for off-contract buyers (not to mention the recent price drops for the developer phones). The new price isn't quite that great, but it also isn't going anywhere, and the Moto Maker servers probably won't buckle under the load. Even so, shipping time is likely to jump up later today after an influx of new buyers, so get your order in soon if you want one. Just in case you were wondering, the bamboo backs still carry a $100 premium, and there has been no discount on the Verizon DROID MAXX Developer Edition.